Whether you have 100 developers or 100,000, onboarding new team members and sharing knowledge across the organization can be a challenge. At this year’s Universe, we announced GitHub Learning Lab for organizations to help solve this problem at a broader scale for our cloud customers. We want to make it easier for developers to build their skills, without ever leaving GitHub. And now, with Learning Lab, teams of developers can onboard, train, and share knowledge across their organization, customized to their specific workflows. Since its launch, we’re happy to report that tens of thousands of developers have completed free, hands-on projects to build skills at their own pace. We’ve been working with you to understand how we can help your teams onboard, train, and innovate faster. Many of you stated that you’d love to bring Learning Lab to your teams, but you need the learning to happen behind your firewall. 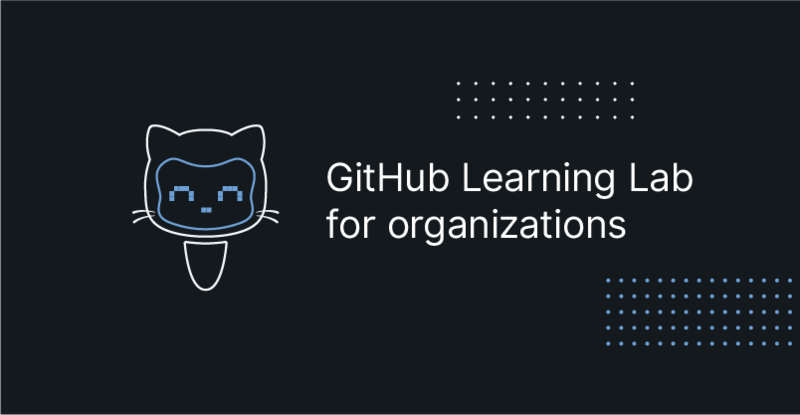 As of today, Learning Lab for organizations is now available for our GitHub Enterprise customers, too. We’re excited to see what Learning Lab can do to transform the way your developers learn and share knowledge at scale.